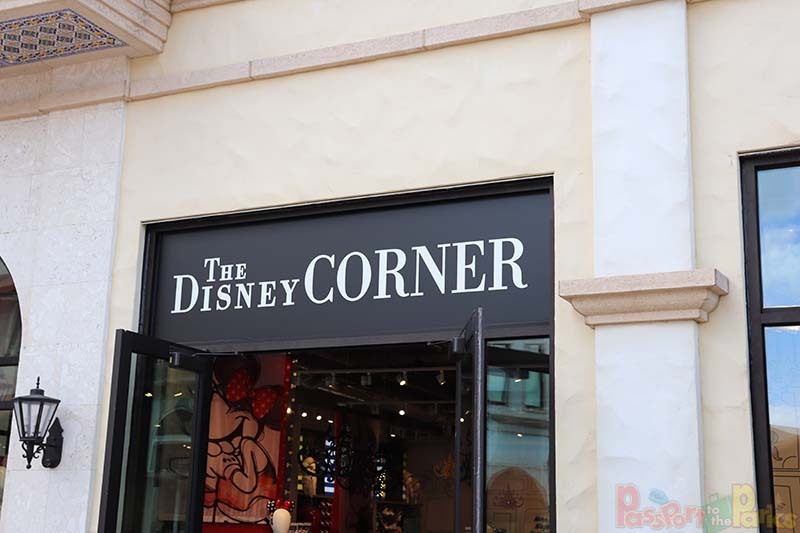 The Disney Corner is two-stories of Minnie Mouse and Disney Princess apparel and fun. 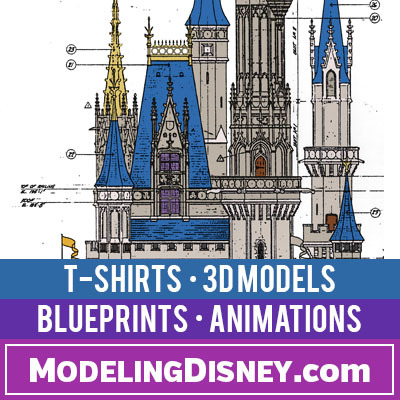 If you are looking for the latest female Disney character fashions, then you are going to love it here. 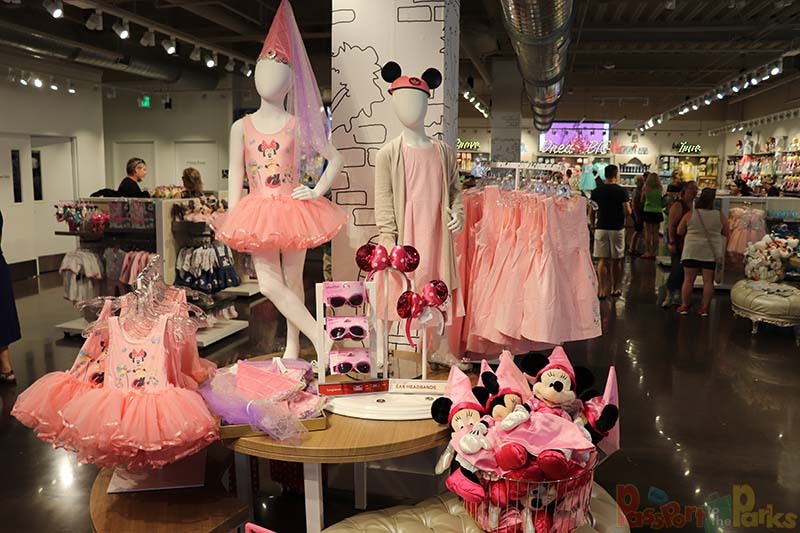 You will certainly find lots of princess costumes, jewelry, hand bags, hats, clothing and lots of Minnie polka dots. 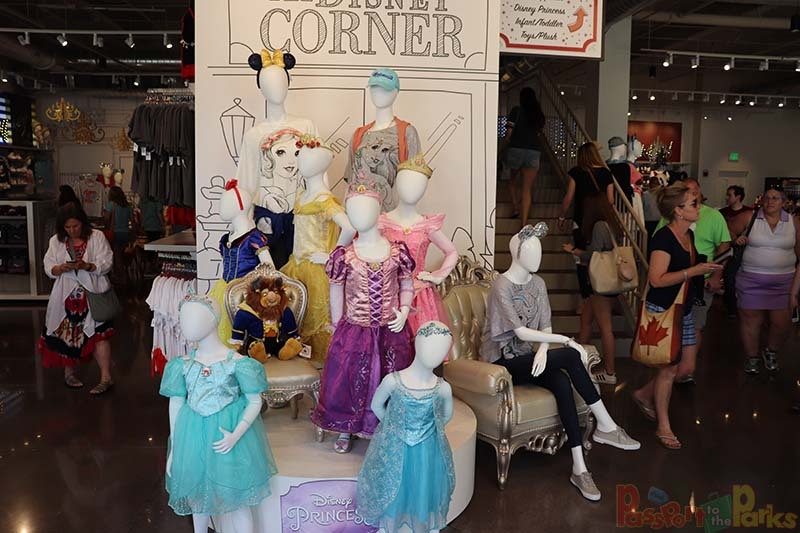 As soon as you walk in you know you are in the right place for all your Disney Princess needs. 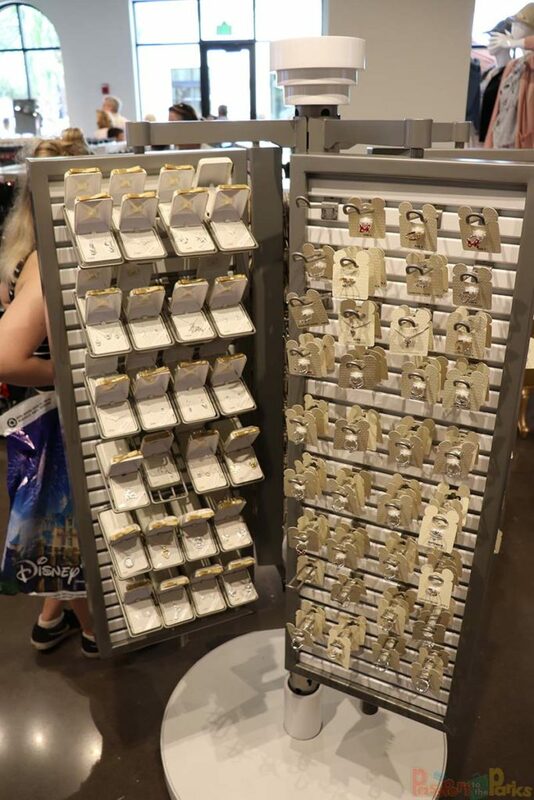 You can fin dedicated areas for different Princesses throughout the store. 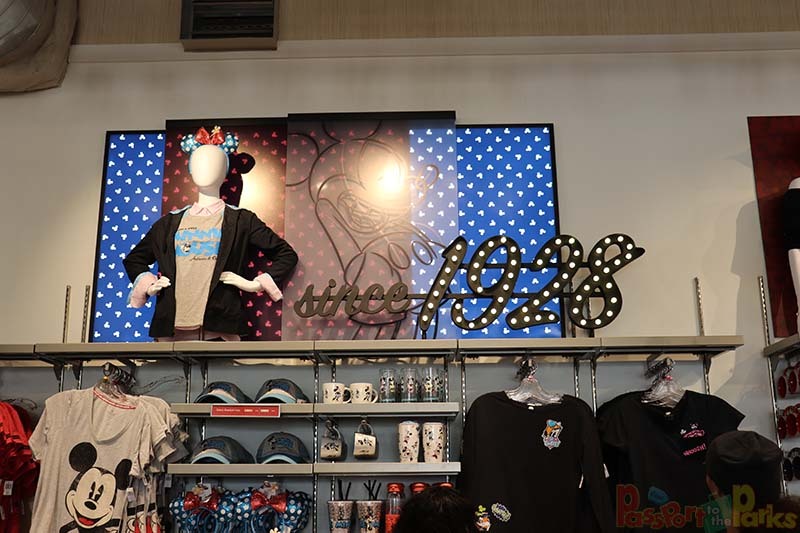 Checkout area is quick and is brightly decorated with these great backdrops. 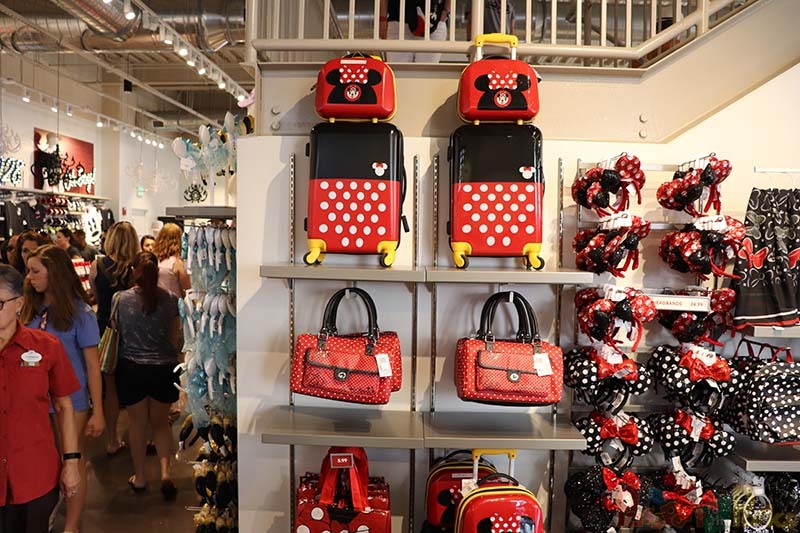 There is no shortage of Minnie Mouse all through the Disney Corner. 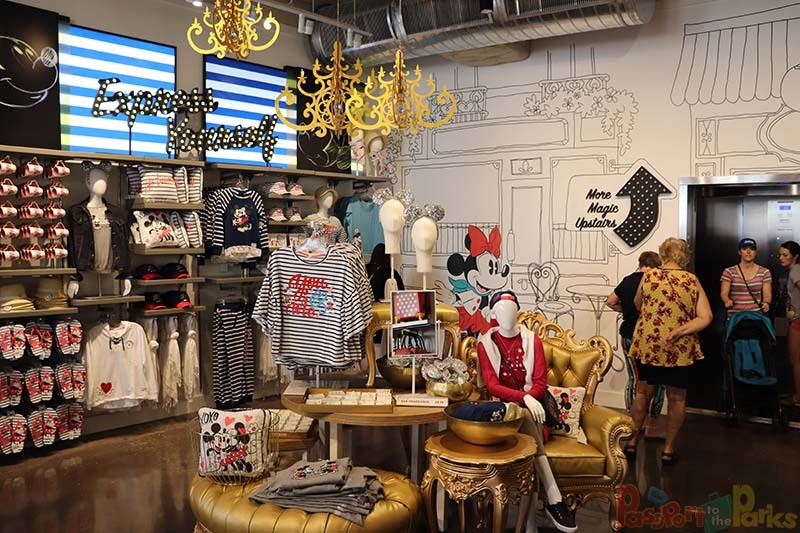 Don’t worry, Mickey Mouse does get some love as well. 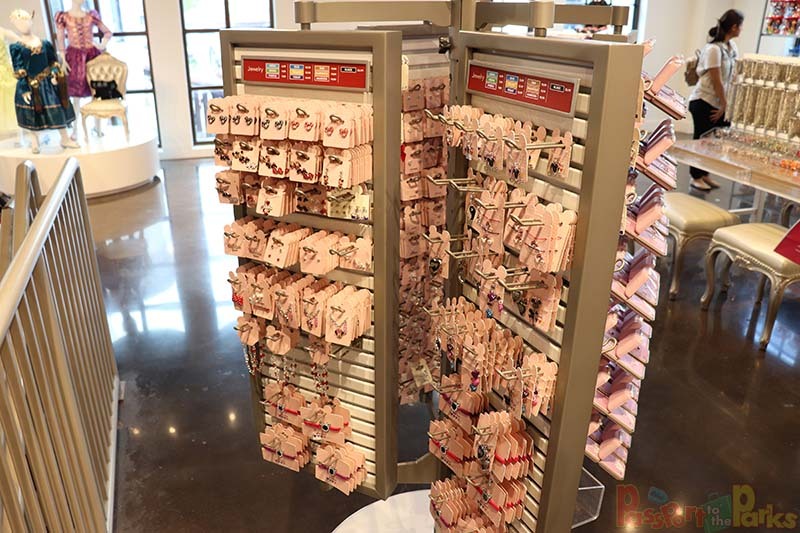 Find all kinds of jewelry selections like necklaces, earrings, bracelets and pins. 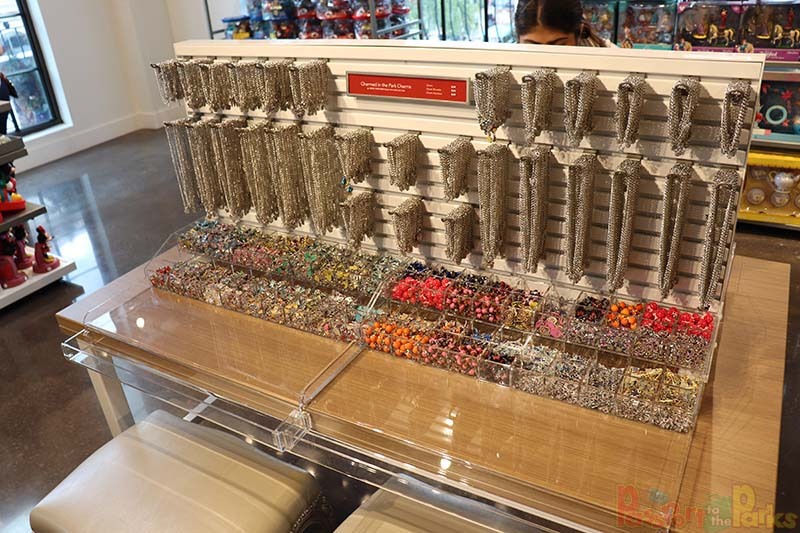 A very large selection of Disney charm bracelet accessories can be found on the second floor. 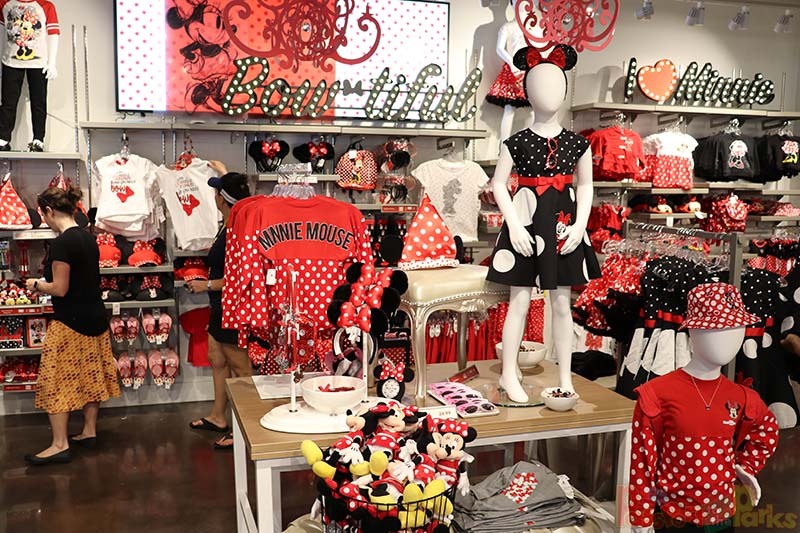 Did I mention there is lots of Minnie mouse gear! 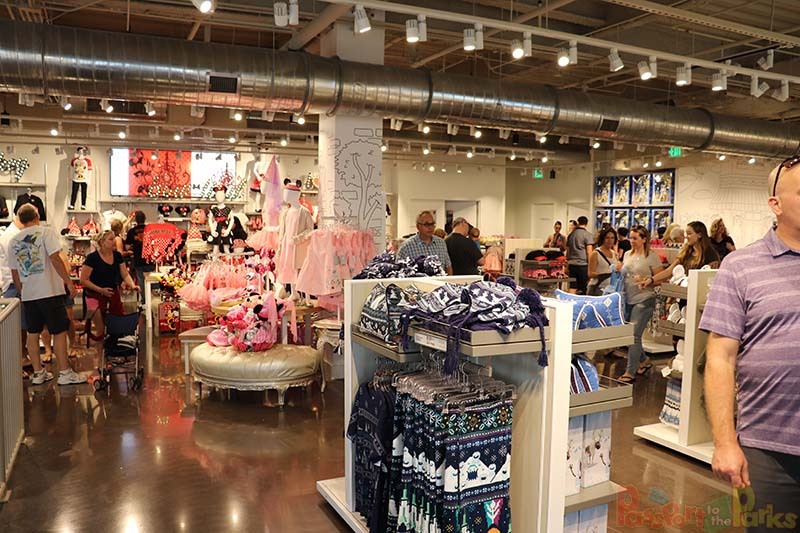 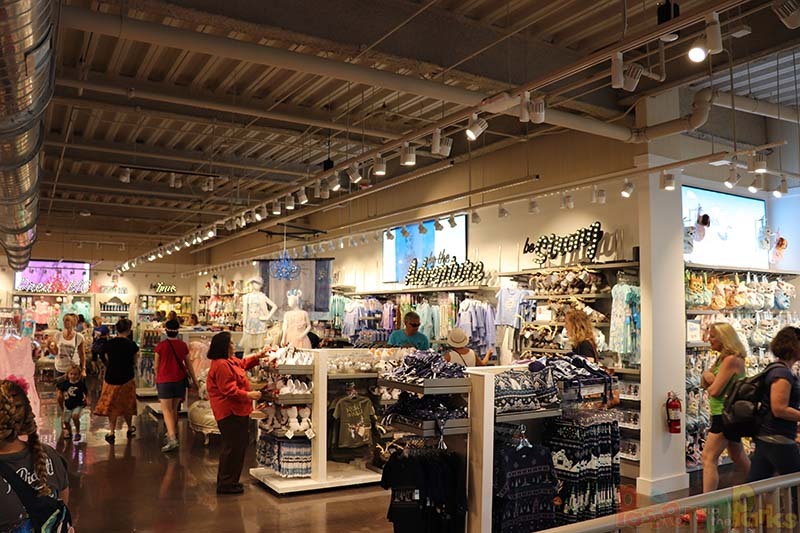 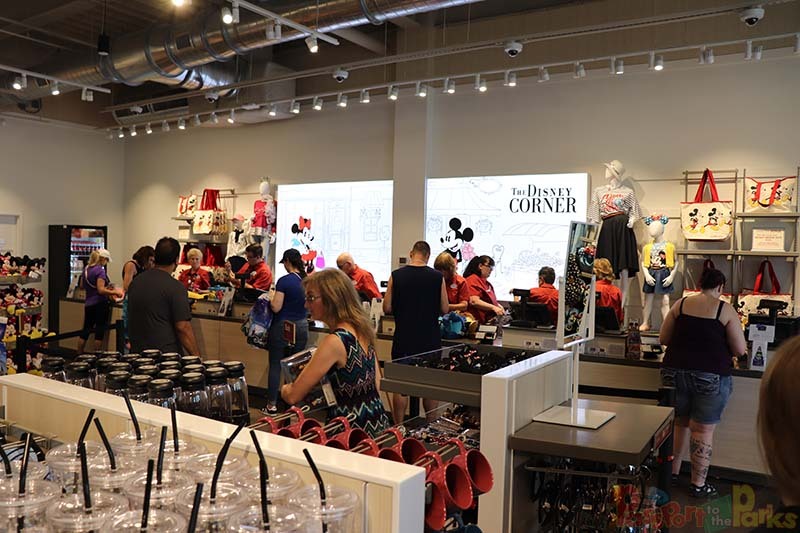 The Disney Corner is located in Disney Springs and really is a joy to shop or even just browse. 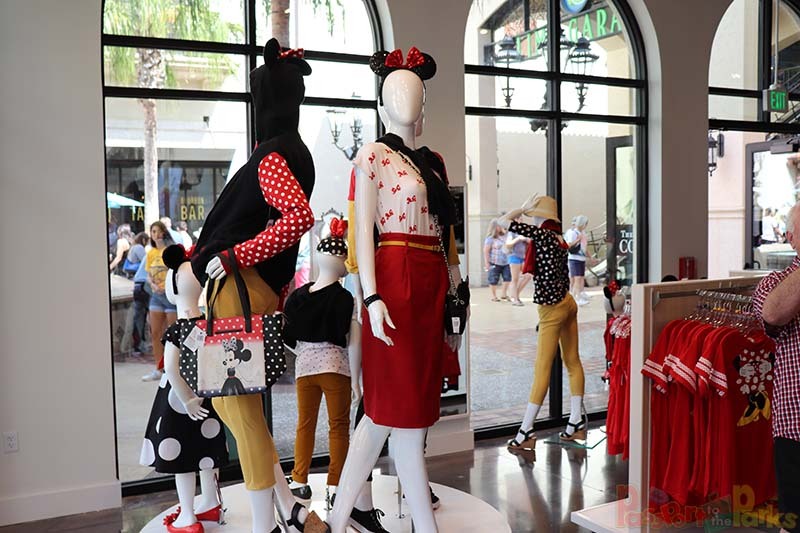 Everyone can appreciate the fun and charm that Minnie and her girls bring to the party. 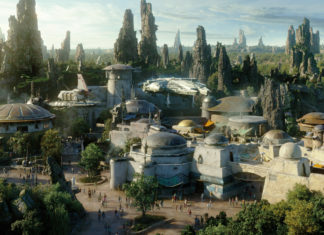 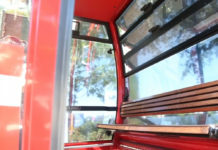 Be sure to follow PASSPORT TO THE PARKS for all you Disney fun and adventure!